Charlie left for his forever home today, Vildana his Mom and Glenn his Dad are very excited to have Charlie as a new member of the family. He is going to love his new home. There are several different kinds of animals for him to bark at, Geese, goats, horses etc. 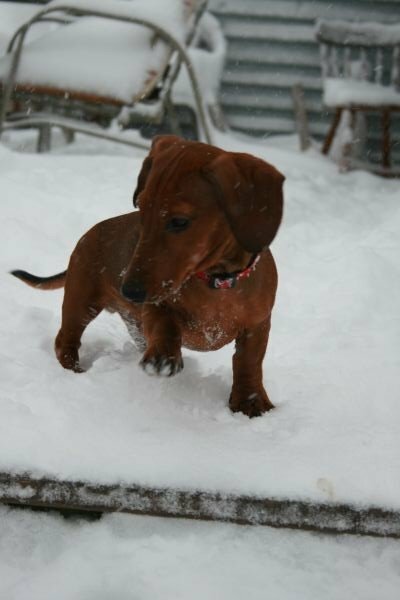 He will also have a little sister Millie (mini Doxie) and a big brother Max ( Great Dane) to play with. We just love it when we have found the perfect home for our babies.